You do the best reviews Michelle! 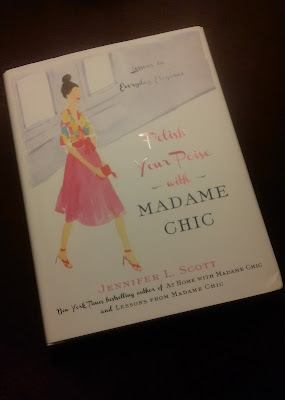 I have read and love Polish Your Poise already however your enthusiastic words make me appreciate Jennifer's book even more. I love your entertaining plans too. Well done on a very informative review. Thank you! :) They are a bit of work for me, but I am happy to write about a favorite topic. I am passionate about reading. I'm working on my review of The Life-Changing Magic of Tidying Up, so that will be next. I am also already putting together a winter reading list. I have four titles, but want to list two more. If you have any suggestions, I would love to know!